State officials, farm-oriented groups and private citizens are finding novel ways to attack the opioid epidemic in rural Ohio. These programs could work in other rural areas; overdose death rates are rising fastest in states with large rural populations like West Virginia, Kentucky and New Hampshire. "The CDC goes so far as to say that the combination of living in a rural area and having a low income is proven to increase your risk of prescription-opioid abuse and overdose," Karen Bernick reports for Successful Farming. Ohio has been hit hard in recent years: It consistently ranks at the top of overdose-death statistics and had more than 4,100 deaths from overdoses in 2016, a 26 percent jump from 2015. Much of the state's opioid woes began with prescription "pill mills" that helped thousands become (or stay) addicted, Bernick notes. Christmas-tree farmer Kathi Albertson began a Farm Bureau program in Guernsey County to prevent unused prescription opioids from circulating in the community. The idea came to her last year when she was prescribed Percocet after shoulder surgery. "I didn't want the pills sitting around my house," she told Bernick, so she shared her concerns with her pharmacist. He gave her a small plastic pouch called a Deterra Drug Deactivation System and told her to add water to it, shake it up, then throw it out. The pouch contains a charcoal-based material that neutralizes about 98 percent of the medication. "The simple solution gave Albertson an idea to help prevent volumes of pills from circulating in her county," Bernick reports. 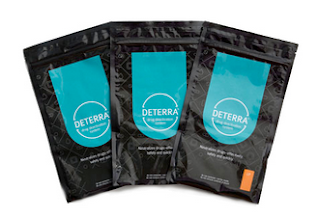 "She worked with her local Farm Bureau to purchase 200 Deterra bags and they also obtained 1,000 more bags through a grant program by Mallinckrodt Pharmaceuticals. They enlisted a local anti-addiction organization called CHOICES to help get the word out they had bags available." They held pill-disposal drives and dropped off the bags to local organizations and businesses that could distribute them in the community. Michele Specht, director for the Ohio Farm Bureau in four Eastern Ohio counties, began working on preventing addiction in rural youth last year. She and local Farm Bureaus brought photo booths to county fairs and other events where 4-H, Future Farmers of America and Farm Bureau youths gather, and encouraged the kids to take pictures with their advisers, teachers, friends, and parents. The youth were encouraged to tape the pictures to their dresser or bathroom mirror to remind them who they could turn to instead of drugs. Theresa Ferrari, a 4-H Extension specialist in youth development and associate professor at Ohio State University, has been working on youth addiction awareness and prevention. She and 4-H leaders designed an educational booth county fairs with a medicine cabinet filled with pill bottles, each with a label with facts about addiction to remind people that it often starts in homes. "Looking into a bathroom mirror is a powerful image because this issue can affect anyone," Ferrari told Bernick. "No one wakes up in the morning and says, 'I think I’ll become a heroin addict,' but it often starts with a person standing over their bathroom sink." Ferrari and Specht are on the planning committee of a statewide teen forum on the opioid epidemic called "Hope for Ohio" Dec. 2 at the Nationwide and Ohio Farm Bureau 4-H Center in Columbus.